PharmaRelations has supported the work of Hand in Hand in India for a decade, financing over the years the start of some 450 microcompanies, creating a better future for some 2500 individuals. We have grown our support as we have grown ourselves and from 2019 we have commited the finacial funds for the uplift of the village of Vasanthanadai in Tamil Nadu, a project that runs over 2 years. There are some 650 000 villages in India, a village is the smallest administrative unit for a rural community. Vasanthanadai in Tamil Nadu is rural community with 2300 inhabitants, living on small scale farming. The challenges for most rural villages in India are lack of nutrition, lack of health care, lack of proper schooling and lack of jobs outside family scale farming. Not all children attend schools when they exist and opportunities for women to sustain a family are rare. The hygienic conditions are often poor, lack of clean water and garbage handling are common. With the work of Hand in Hand, financed by PharmaRelations, Vasanthanadai will have a real Uplift, a project that will run over some 2 years. The Uplift has started with an assessment of the situation and with having a strong commitment from the Village Council and from all inhabitants. Hand in Hand does not provide solutions and help, Hand in Hand support villages to do the work themselves, this is why the commitment is vital, without the commitment that they will do their part from the council and the inhabitants, no Uplift. The project will continue with assessment of clean water wells and garbage removal discipline, health examinations of the inhabitants and the live stock in the village, the village population as well as animals will be vaccinated. Nutritional value of food is essential for the performance of both school children and workers, more productive plats will be introduced for nutritional value. From the start, the commitment from the inhabitants that all children attend school is a condition for the Uplift. The long term Uplift of the village is based on children in school and the creation of a large number of small micro-companies lead by women. The Vasanthanadai Uplift has not come so far as to starting new micro-companies, but hopefully some 30-50 companies will be started in Vasanthanadai during 2019-2020, changing the life conditions of the same amount of families, some 250 individuals in the village. We will report the milestones of the Vasanthanadai Uplift as we go along. Hand in Hand has worked in India for 25 years. So far the organisation has created about 3.2 million new jobs, with a target to reach 4.5 million jobs by 2020. 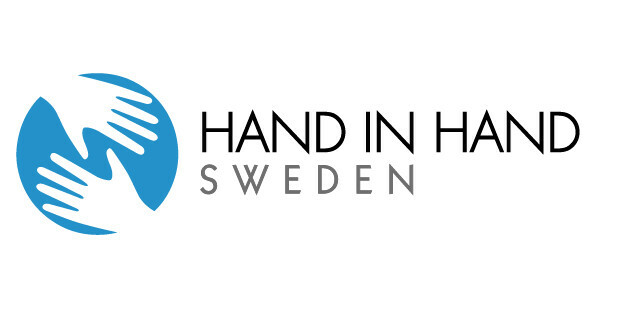 Read more about Hand in Hand and their successful form of supporting development through female entrepreneurship.